Everyone loves that sweet, buttery flavor of cookie dough, but taking a roll of cookie dough to the pool or beach during the summer is a pretty silly idea. If you have a hankering of that raw dough flavor with a hint of chocolate, our cookie dough flavored shaved ice syrup is sure to satisfy. A lot more seasonable than carrying around raw cookie dough in the summer, a cookie dough shaved ice captures that great cookie dough flavor in a refreshing, frozen treat. Remember when you waited with other neighborhood kids for the ice cream truck all day long? 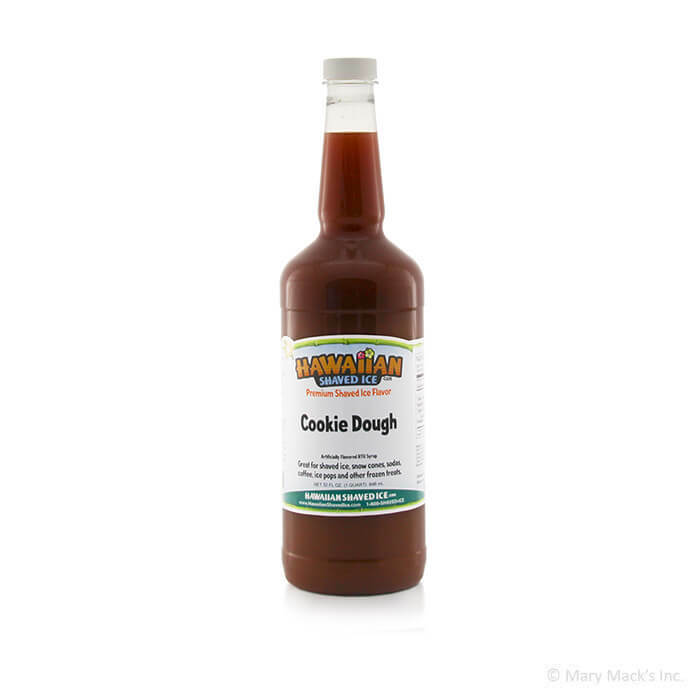 Cookie dough ice cream is one of the most popular ice cream flavors, and our cookie dough snow cone flavoring has the tasty, rich cookie dough flavor without the hassle and mess of melting ice cream. Inexpensive and easy to make, a cookie dough shaved ice is an awesome treat to make any summer day special. Our cookie dough flavored shaved ice syrup is sure to a hit with adult and kids alike.